This tour originates from Oslo. Price start with ₹139499 per person. Use the form below to inquire about Christmas Fun at Norway . Use the form below to reserve for Christmas Fun at Norway . Please provide your special requirement for this booking you can write also at info@selfroadiez.com. Attractive and dramatic scenery and landscape are found throughout Norway. The west coast of southern Norway and the coast of northern Norway present some of the most visually impressive coastal sceneries in the world. The Norwegian fjords are the world’s top tourist attraction. 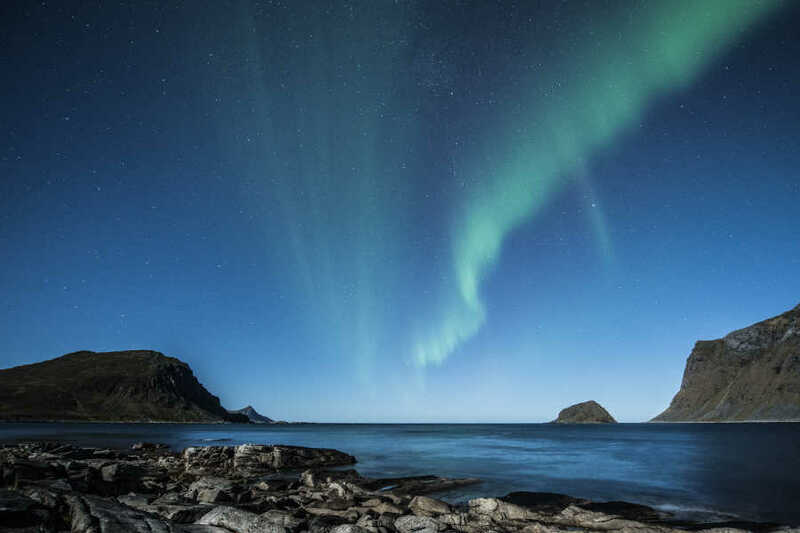 The country is also home to the natural phenomena of the Midnight sun (during summer), as well as the Aurora borealis known also as the Northern lights. Discover all this and more with our 8 Nights/9 Days package. November through March is the absolute peak time season for Northern Lights viewing because the nights are longest, but a visit anytime between September through March should give you a good chance to see them, with March offering the best chance of clear skies. Accommodation type with pricing from Rs.3000/- to Rs.6000/-. Upon arrival at Oslo, you shall be received at the airport by our representative (driver). Transfer to the hotel and check-in. Rest of the day at leisure to explore the city. We suggest buying an Oslo Pass for free travel on all public transport along with free admission to over 30 museums and attractions plus special offers on entertainment, restaurants, shops and more. The pass can be purchased at tourist information centers or at most hotels and major attractions in the city. Overnight at the hotel in Oslo. Tromsø, the 'Paris of the North', is northern Norway’s largest city and the region’s cultural hotspot. 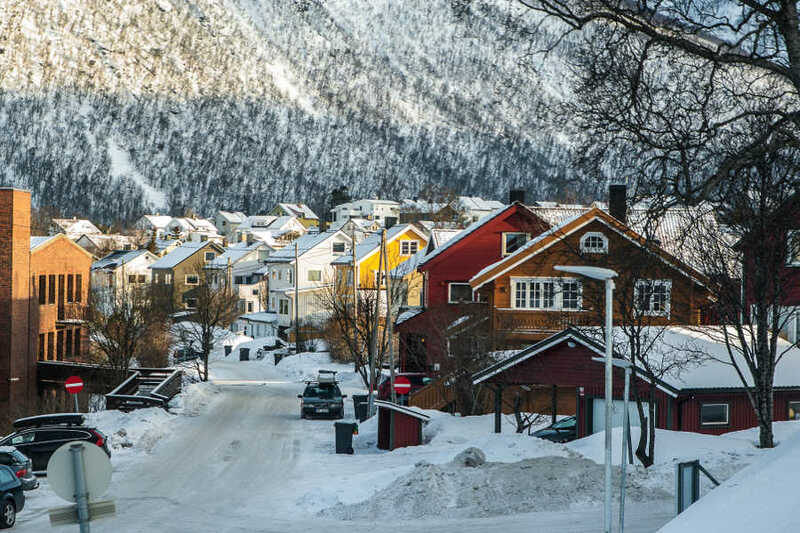 After checking in to your hotel in central Tromsø, explore the city at leisure. Northern lights (aurora borealis) or southern lights (aurora australis), is a natural light display in the Earth's sky, predominantly seen in the high-latitude regions (around the Arctic and Antarctic). Sit around a bonfire and sip a hot drink while you learn the physics behind the Aurora, along with the local history and folklore. Duration of the tour is 5-6 hours. Overnight at hotel in Tromsø. 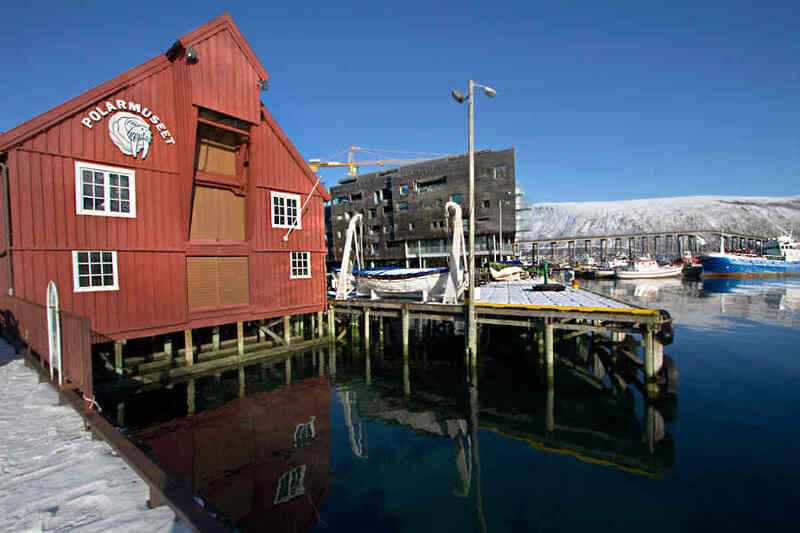 After breakfast at the hotel explore Tromsø at your leisure. Notable attractions include the Polar Museum, the Art Museum of Northern Norway and the Arctic Cathedral. For a fantastic bird’s eye view over the city, ride up to Mt. Storsteinen (421 m/1382 ft) on the Fjellheisen cable car. Later in the evening board the ship 'Hurtigruten' for a cruise to Kirkenes. Sailing along the fjord-studded coastline, this voyage offers incredible views of Norway’s most famous landscapes along with onboard entertainment, gourmet dining, and other amenities. Bring along a pair of binoculars for a better view of the scenery. Spend the night on board the ship in a private cabin. 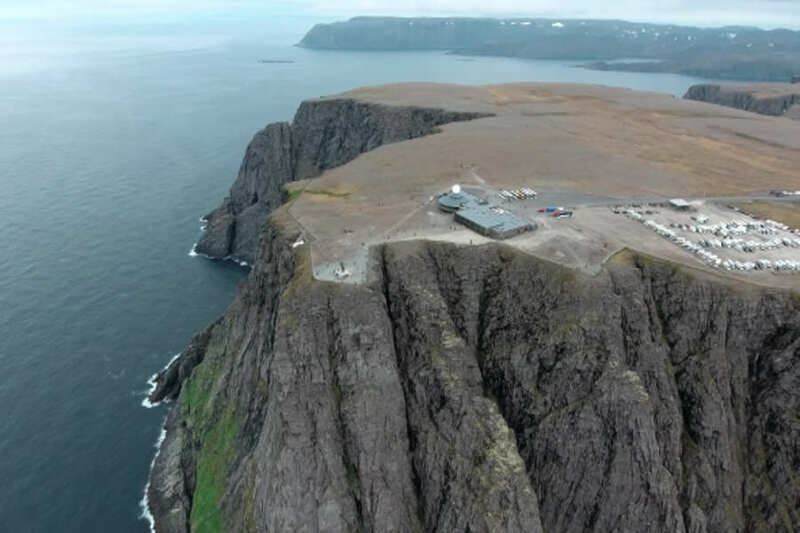 Today the ship makes a stop at the famous North Cape (Nordkapp). Situated at 71° north, this area is well known for its beautiful landscapes and wildlife sighting opportunities. 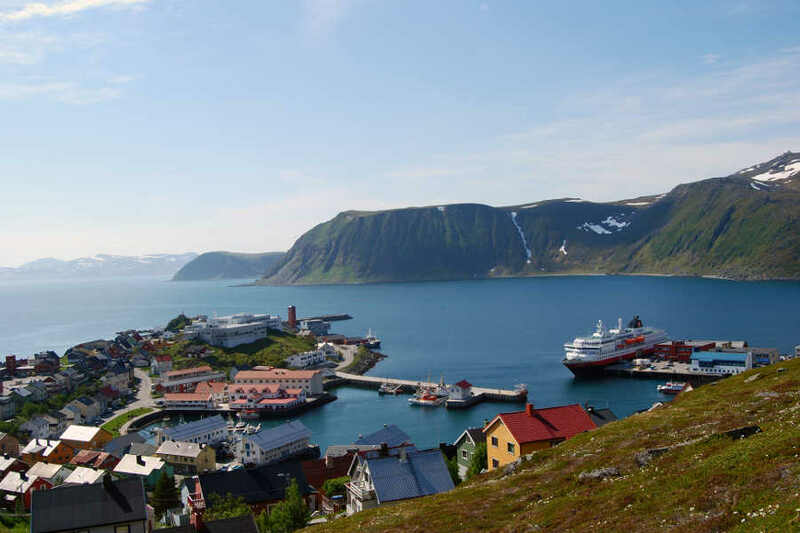 Here you will also have a bit of free time to explore the charming seaside town of Honningsvåg. Celebrate Christmas, which arrives early in the Nordic countries on the evening of December 24, on board according to Norwegian traditions. Celebrate together with fellow passengers and crew by dining on a lovely Christmas buffet, singing carols and opening presents. Santa Claus will also pay a visit! The small town of Kirkenes known as the capital of the Barents Region is located northeast in Northern Norway, close to the Russian border. It is the gateway to the east. Arrive at Kirkenes, located about 400 km (240 miles) above the Arctic Circle in northern Norway. Check into the Kirkenes Snowhotel, a hotel built from scratch every year, which is open between December and April. Even though the temperature inside is a constant minus four degrees Celsius, the beds of reindeer hide are warm and comfortable. After being transferred to the Snow Hotel, head out for a 4-hour snowmobile safari. First, you'll be taken to an old farmhouse to put on warm outerwear and for a lesson on how to operate the snowmobile. Follow the guide out into the frozen landscapes, with some breaks for photographs along the way. You will be sharing the snowmobile and will get to take turns driving. This excursion also includes a small picnic. 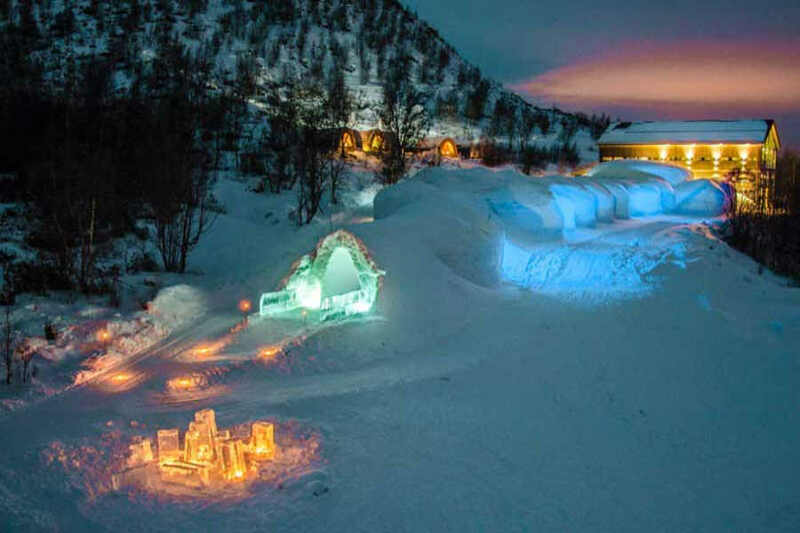 Spend the night at the Snow Hotel in Kirkenes. Spend the morning warming up in the Snow Hotel’s sauna and enjoying a hearty breakfast. You may also wish to visit the reindeer park right next to the Snow Hotel if you have time before your transfer to the next hotel in Kirkenes. Get ready to experience a true Arctic adventure — a thrilling dog sledding tour through the Pasvik Valley along Norway’s northeastern border. 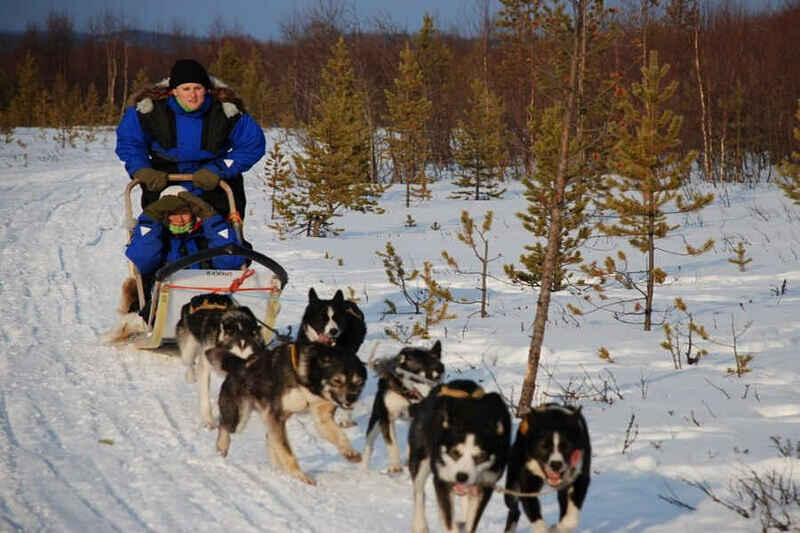 This activity includes light refreshments and basic instruction on how to drive a dog sled. Spend the night at a hotel in Kirkenes. In winter, activities that are offered are Dog-sled trips, Snowmobile tours, Ice fishing and King crab safari. For history buffs, below are a few places of interest. Eastern Finnmark is an interesting destination located at the end of Varanger National Tourist Route. Hamningberg is a picturesque old fishing village and one of few places that were not burned down by the retreating Germans at the end of the Second World War. The war left its mark on Kirkenes however, with over 320 air attacks against the city. Andersgrotta, used as a shelter during the war, is today a museum. In Vardø, you can see an intriguing monument erected in memory of the 91 people, mostly women, who were burnt at the stake during the witch hunt in the 17th century. After breakfast, check out and transfer to the airport t catch the flight for Oslo. On arrival at Oslo, transfer to the hotel for check-in. Rest of the day at leisure to explore the city of Oslo. We recommend an Oslo Pass for a day which entitles to the usage of public transport and entry to attractions. Overnight at hotel in Oslo. As per the flight timing, you shall be transferred to the airport to board the flight home. 01 Night of stay at Tromsø in a 3* hotel or similar. 02 Nights onboard cruise from Tromsø to Kirkenes. 01 Night stay in Snowhotel in Kirkenes. Cruise from Tromsø to Kirkenes with a sightseeing stopover at North Cape. International return airfare from India to Oslo. The itinerary mentioned here is indicative and the final itinerary might vary as per the client preferences. The rates mentioned (if any) is been based on an estimated price for the season and bookings will be made after discussions for the customization. The actual rates might vary based on the availability on the exact travel date, actual flight charges and currency exchange rates on the date of booking. Flights and visa charges are optional and can be booked by the client directly if required so. SelfRoadiez can provide the same if requested by the client. Less than 24 hrs to 15 Days prior to departure - 100% of Package Cost.